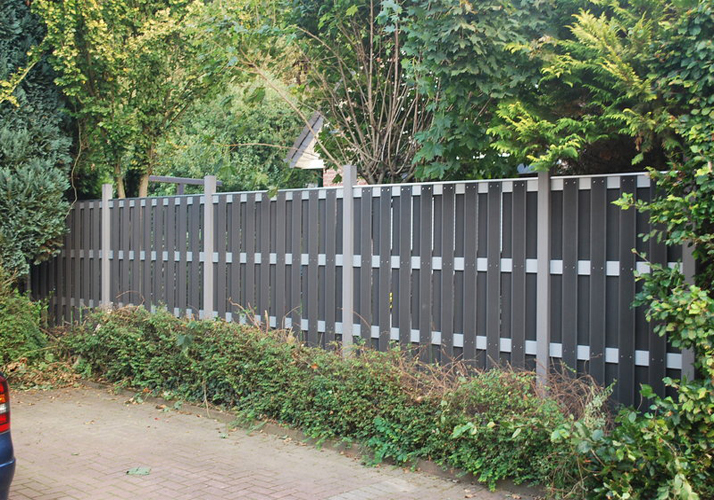 Firstly, as a consumer we need buy durable and long life fence for you garden , as we all know use wood fence easy crack or rot over time . the most important it can’t stand pest attack , in order to solution this problems minimal maintenance wood plastic composite railing to be a good choose for house owner. this product is more durable and strong than wood , can face with all kinds of bad weather and climate. and it much better than a natural material. Secondly, the wood plastic railing will not fade and crack , because it use the eco friendly wood fiber material , therefore the railing almost free maintenance, you needn’t spend lots of time to clean it , give you more time enjoy the life , There will never be a need to paint or sand it. Nor do you have to worry about it blowing down in a storm or collapsing under the weight of someone attempting to climb it; wood plastic is more flexible than wood. Plus, it is easy to install . Thirdly, minimal maintenance wood plastic railing will maximize your backyard space and make sure it a secure place for your children. if you house have swimming pool , you wish to have some privacy. wood plastic railing is a good option for you, meanwhile railing can add to the beauty of your home. At last , shanghai seven trust supply different style and all kind of minimal maintenance wood plastic railing product , with widely size and color, the product life more than 20 years and uv resistance , if you want to buy wood plastic composite product please contact us as soon as possible, we supply best offer, look forward to cooperation with you.